Of course, the many current fans of Matthew and Michael Lee are already aware of one other essential factor. Let’s call it pedigree. Their dad Mike Pinder was a founding member of the legendary Moody Blues, who not only fulfilled the enduring band’s mellotron duties, but also contributed harmony vocals. 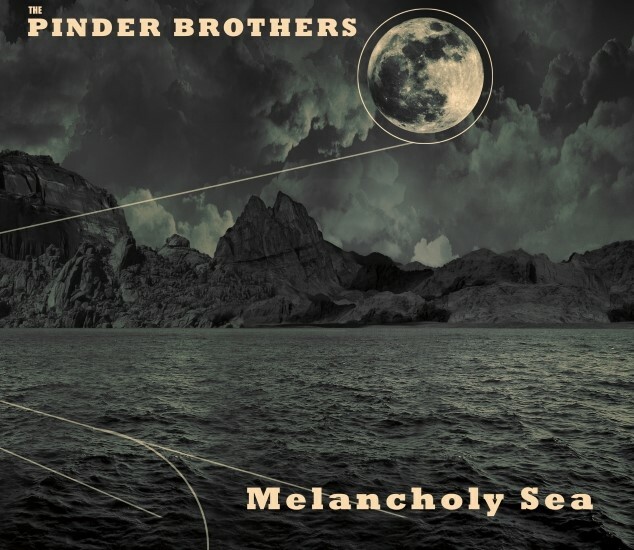 The Pinder Brothers mesh the harmonies of Crosby, Stills and Nash alongside the songwriting style of Simon & Garfunkel, and ultimately add their own modern spin. Listeners will hear all of this and more in “Melancholy Sea,” which the pair wrote, plays and arranged. The project’s masterfully penned lyrics create a sonic tapestry that dazzles the ear… much like the colors of a seashell inspire the eye. The brothers’ voices harmonize beautifully, accompanied by arrangements that deftly ease from a bed of crunchy electric guitars into warm overdriven tones that layer as naturally as sheets and a blanket. It could be said that The Pinder Brothers have 60’s Brit-rock heritage in their DNA, with a healthy dose of California style thrown in. Hailing from Northern California, Matt and Michael Pinder grew up playing music and performing together whenever possible. How could they not, with the sounds of the lost chord echoing softly in their ears. Thankfully, Mike Pinder’s innate talent has been passed on to his sons—who are now creating their own legacy.